According to a Cisco report, there would be 50 billion connected devices by 2020. Do you know what that means? This means that each person will be having 4-5 different devices to access the internet. Imagine if your website could not load properly on these devices with varying screen sizes, what chances do you have for business growth. If you want your business to succeed in today’s mobile dominated world, you need a website that delivers content on a wide range of mobile devices with differing screen sizes. That is where a responsive website can come in handy but creating one is not easy. Responsive website designers will have to juggle with multiple layouts such as landscape, portrait, and HD wide or tiny low resolution. Identify which device your prospects are using to access the web, respond to the information by displaying a perfect website layout for the device. 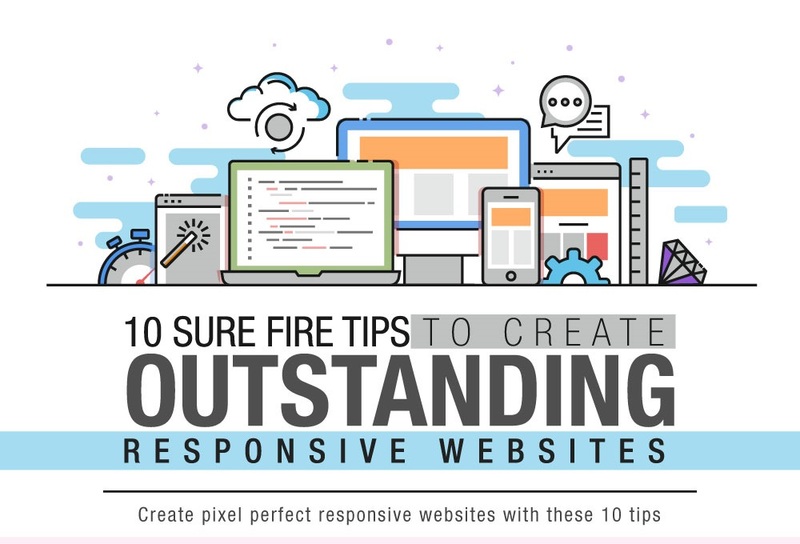 Here are some of the tried and tested tips that can enhance the user experience of your responsive website.